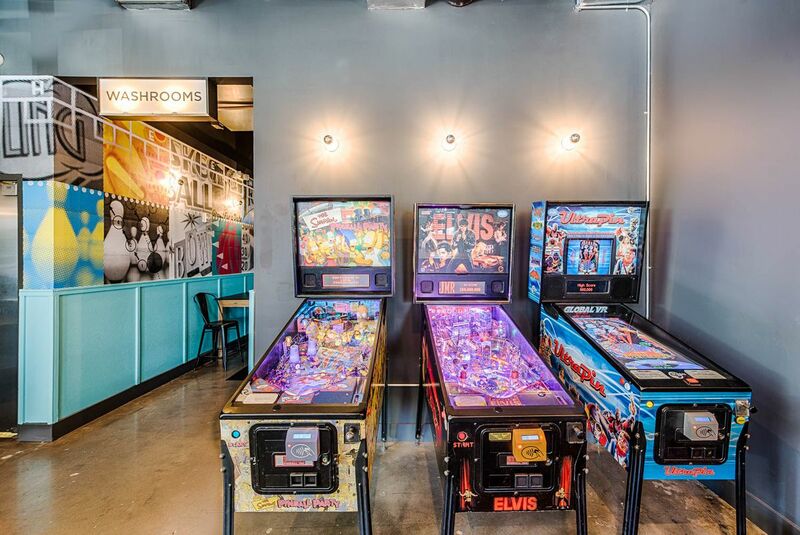 Inquisitive neighbors who keep pressing their faces up against the glass at the Eleanor to catch a glimpse of the giant video games and mini-bowling lanes inside won’t have to wait too much longer to pump all their money into the buzzing machines. 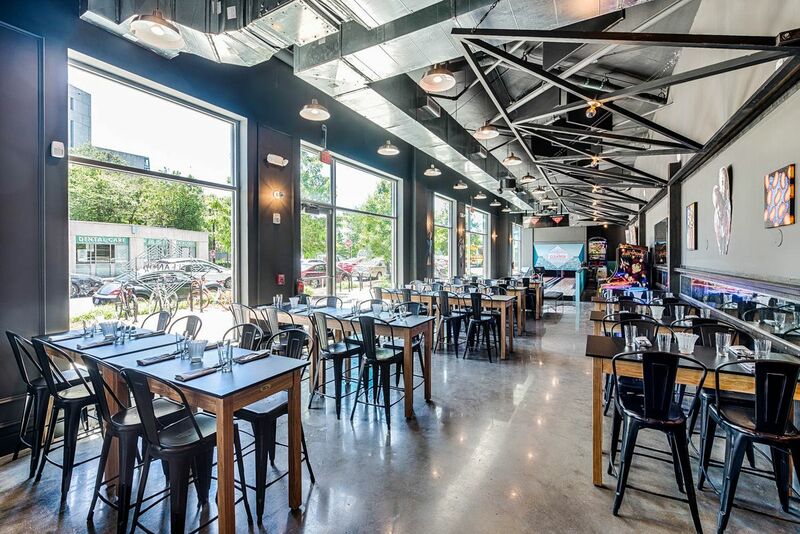 Founder Adam Stein won’t say exactly when he plans to welcome the public to the game-filled bar he’s brought to NoMa (100 Florida Avenue NE), but assures Eater the fun-loving venue should debut before the end of this week. Stein has begun bringing in friends for preview nights. On June 19 he hosted a primary election returns watch party for D.C. Del. Eleanor Holmes Norton — one of the inspiring women he says his dream restaurant is designed to honor. “I can’t get over it,” Norton tells Eater of the unexpected tribute. The self-styled Eleanor shares some things in common with its predecessor Bar Elena, including certain menu items as well as similar electronic diversions, but also works in new additions. The twin bowling lanes Stein had installed at the far end of the narrow space are his crowning achievement. Shaving that attraction in half — Stein originally wanted to have four bowling lanes — allowed him to create an area that is now home to a basketball game, Golden Tee machine, Big Buck HD video hunting game, and two Skee-Ball cabinets. He’s also sprinkled other games throughout including Mortal Kombat 3, a four-player Pac-Man Battle Royale with a massive screen, and assorted pinball machines. All the games, including the mini-bowling, can be charged to refillable game cards that provide nine credits per dollar. Games such as Mortal Kombat require three credits to play, while the Pac-Man Battle Royale runs eight credits per turn. The Eleanor is projected to operate from 4 p.m. till at least 2 a.m. to start. 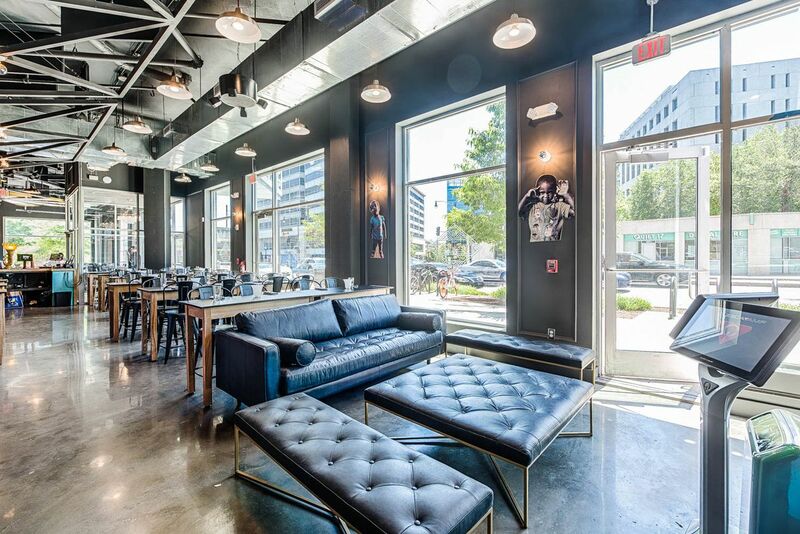 Stein says lunch and brunch service should follow in the coming weeks. The bar at the Eleanor has seating for over a dozen cocktail lovers and slushie fans. 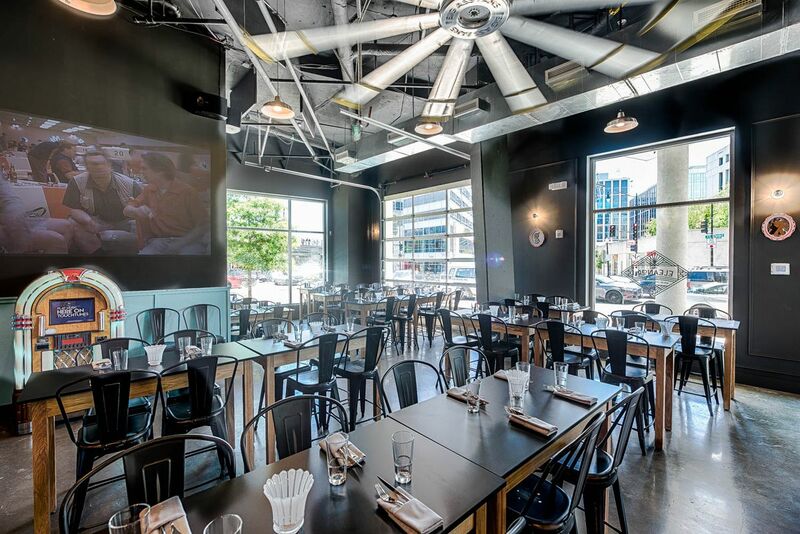 There’s a digital jukebox and a projection screen in the main dining room at the Eleanor. Founder Adam Stein says this corner of the Eleanor can be transformed into a stage for visiting musical acts by removing the tables in loading in equipment via the rolling garage doors. Eleanor founder Adam Stein says he’s working on adding a new Star Wars machine to the pinball zone. Tables line the passageway leading from the main dining room at the Eleanor to the mini-bowling lanes. Bowling enthusiasts at the Eleanor can relax on leather sofas and benches while waiting for their turn. 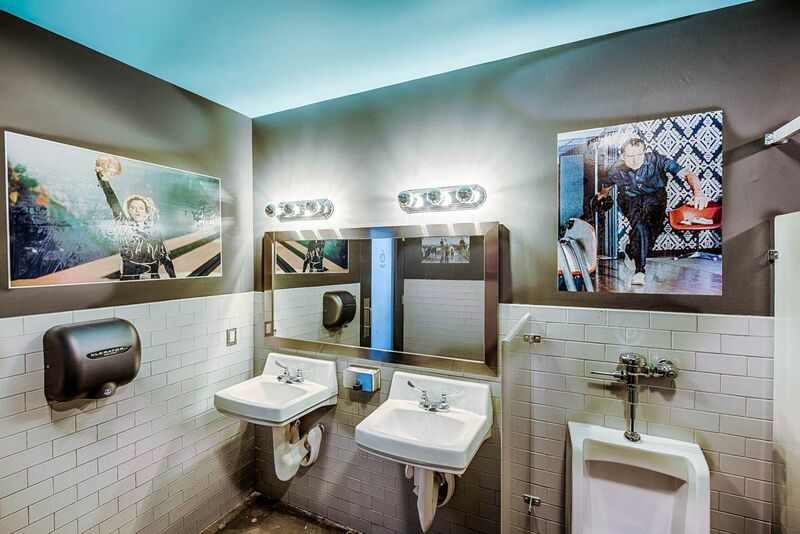 The men’s room at the Eleanor includes images from bowling comedy “Kingpin,” as well as a shot of late President Richard Nixon bowling at the White House. While they insist that serving pitchers of now-ubiquitous Narragansett Lager is inevitable because of all the mini-bowling that’ll be happening at nearly ready entertainment zone the Eleanor, bar staff at the NoMa newcomer have much funkier beverages in mind. 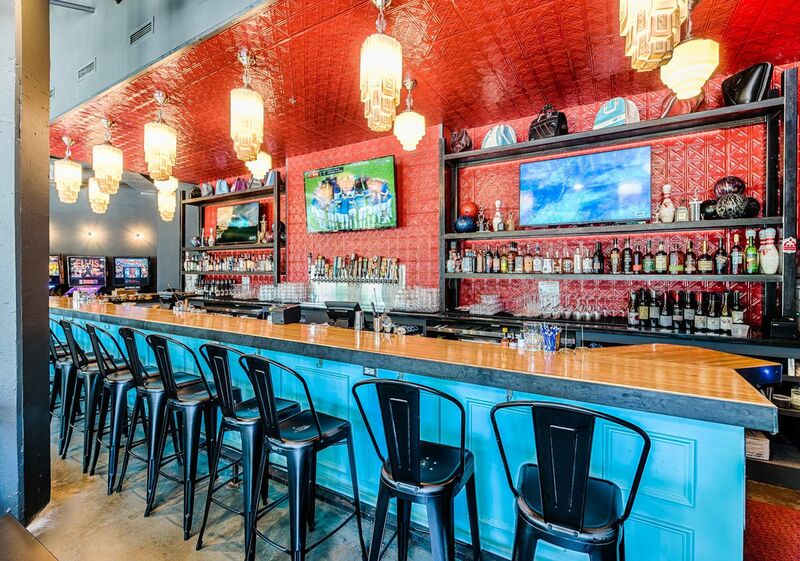 When he converted Atlas District watering hole Boundary Road into Bar Elena last year, chef turned restaurateur Adam Stein made an effort to honor the predecessor’s commitment to fancy cocktails and local beers. This time around, Stein has brought in newly married couple Jessica Rockwell and Katie Rockwell to serve as co-general managers and drink gurus. Jessica Rockwell, who worked with Stein at Light Horse restaurant in Alexandria, Virginia, is focused on building the Eleanor’s beer list. 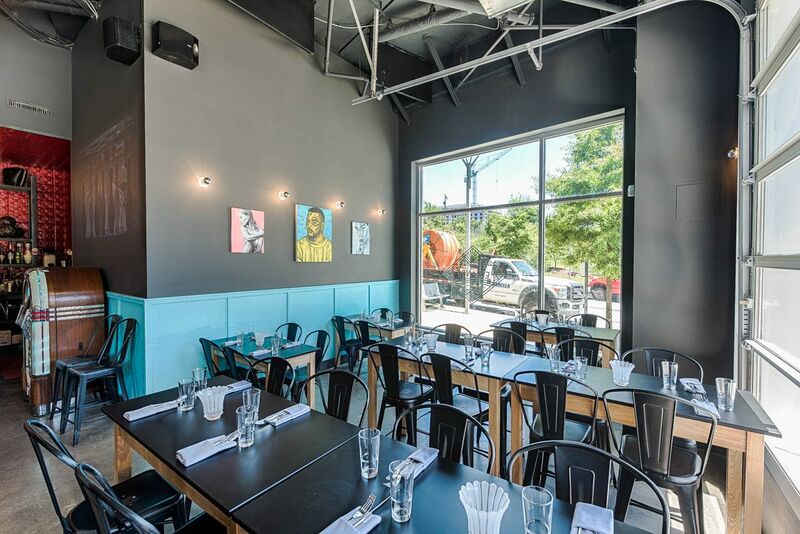 Katie Rockwell, another Light Horse alum who also spent time at Boundary Stone and budding chain All-Purpose, tells Eater she’s looking into drinks with some curious ingredients. A little something that Katie Rockwell says has been rolling around in her brain since a road trip through the south: recreating the sensation of shelled peanuts plopped into bottled sodas. Although she says the custom seems to favor adding the salty specimens to Coca Cola or Dr. Pepper, Katie Rockwell is toying with mixing a peanut reduction into a whiskey-soda drink. Her other scientific endeavor involves using aromatic terpenes — organic compounds found in hemp and other plants — as bitters. Katie Rockwell says the liquid extracts she gets from her cousin’s farm in Colorado contain no THC — so no one’s getting stoned from these drinks — but do add different flavors, including “piney” and “herbal” notes, to cocktails. If all that scientific stuff sounds way too complicated, the Eleanor will also have something anyone can understand: vodka slushies. Katie Rockwell says the goal is to create a base slush from a neutral spirit that can then be cut with other liquors, mixers, and flavors at will. There is also discussion of having at least one draft cocktail on tap. And the bar will serve crushed ice exclusively: a) so as not to excessively water down drinks, and b) because it’ll be that much easier to make frosty seasonal swizzles. Jessica Rockwell, meanwhile, wants to fill the Eleanor’s 20 taps with a mix of beers that mean something to the various staff members. The aforementioned Narragansett is a nod to Stein’s time working in New England. Jessica Rockwell counts herself as a fan of Michigan’s Founders Brewing Company, so she’s carving out room for some of its beers. She and Katie got married at DC Brau Brewing Company, so that local favorite is definitely included. As are others Jessica Rockwell and Katie Rockwell have worked with over the years, including 3 Stars Brewing Company, Port City Brewing Company, Right Proper Brewing Company, Hellbender Brewing Company, Potter’s Craft Cider, and others. Local spirits makers on Jessica Rockwell’s short list include D.C.-based New Columbia Distillers and One Eight Distilling Company, as well as Gray Wolf Craft Distilling in Maryland. “I’m mostly looking forward to building a community,” Katie Rockwell says of their mission.